Pleasure - one of humanity's basic and strongest forces. The feelings of enjoyment, satisfaction and meaning are extremely strong, and drive us to achieve them. Basically, we do what we do for the sake of pleasure. Given that we are created in the image and likeness of God, it must be that God desires pleasure. Since God is complete in every way, lacking nothing, His expressions of desire towards us must be to draw humanity into His pleasure. 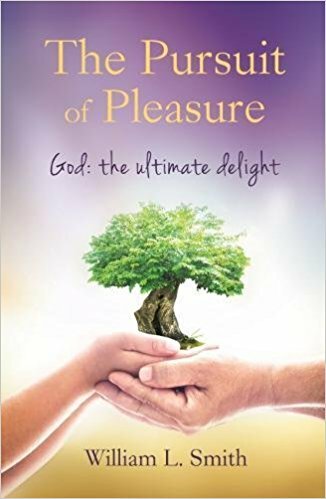 In The Pursuit of Pleasure, Bill Smith seeks to encourage us towards a greater awareness and pursuit of God as pleasure, as an ultimate delight in the passionate love of our Father God.It also highlights the pleasure we have for His kingdom and how that permeates through our worship life, prayer life and relationship that we have with Him. The Pursuit of Pleasure will also help us discover what type of pleasure is important and how we don't have to live around the distorted version of pleasure that the world wants us to embrace.This is not a pursuit just for those who are above failure and weakness. It is the pursuit of all, especially those who know their frailty, while longing for relationship with the Father; a relationship that satisfies and yields peace and joy. The Pursuit of Pleasure by Smith, William L was published by Malcolm Down Publishing Ltd in April 2017. The ISBN for The Pursuit of Pleasure is 9781910786680. Be the first to review The Pursuit of Pleasure! Got a question? No problem! Just click here to ask us about The Pursuit of Pleasure.